Two days after the Brexit referendum result I became Estonian, at least to some extent. Actually to very little extent, legally. But up late, shattered by a result which felt like a brutal denial of my core existence, I found myself on the Internet, and rather than comfort-buying yet another Dieter Rams monograph, I applied for e-Residency in Estonia instead. It cost me around €50 and 20 minutes filling in some vaguely well-considered online forms. I uploaded a photo of my passport, filled in some basic details and — from the pull-down menu asking as to why I was applying — I selected the pre-filled option “I’m a fan of e-residency”. A few weeks later, presumably after Estonian police checks, I find myself in the well-heeled Embassy-ville of South Kensington, west London, stepping downstairs into the Baltic — or rather, a pale white basement office dressed as if Tallinn. A pale white Estonian embassy official, also dressed as if Tallinn, hands over a slim blue cardboard box containing my Estonian e-Residency ID card and a small black plastic rectangle, which unfolds to form a cruciform USB reader. This takes the chip-end of the ID card on one axis and slips into a USB socket on the other. The official, discreet but friendly enough, snips the bottom off a piece of A4 with a pair of scissors — an act that feels curiously analogue, amidst all the digital authentication — and that’s that. The paper is my receipt. The blue ID card is part of my new identity. The perhaps appropriately cruciform reader is my interface with a new nation state. I have residency in Estonia, at least digitally, and can now open Estonian bank accounts and run a business through Estonia, should I wish to. 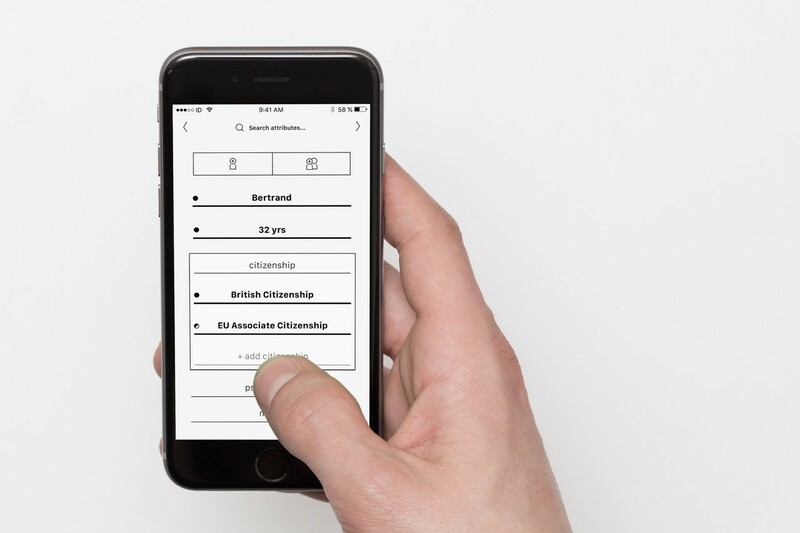 The e-Residency programme is a typically Estonian approach to 21st century civics. Estonia had to reboot an entire country after the Soviet Union pulled out, and timing, combined with the nation’s own peculiarly Baltic interpretation of neo-liberal ‘small government’ thinking, meant that the country’s services were more or less forged on the internet. 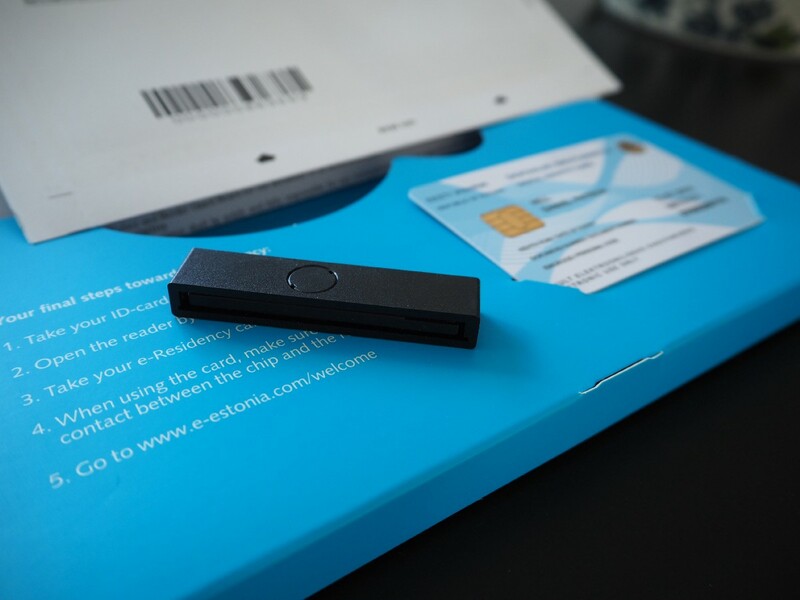 One trajectory of those pioneering digital government services has led almost inexorably to e-residency, offering what they call country as a service, with the official in charge of the programme describing the attractiveness of Estonia’s sheer efficiency as an opportunity to increase the size of its effective population without increasing its physical population. Although tax is paid where you generate your business, and so zero tax is paid in Estonia unless earned in Estonia, the hope is that the use of their banking services and business operations will increase revenue, broadly, as well as no doubt luring a few to ultimately live in the country. That is not something I plan to do anytime soon, as appealing as Kalamaja is, though I may open up a business there soon. The sheer efficiency of their digital government experiences — and their APIs to other countries — should be enough to attract entrepreneurs. As Ben Hammersley, a fellow Estonian e-resident, pointed out in Wired, this is a country competing on the quality of its user experience. 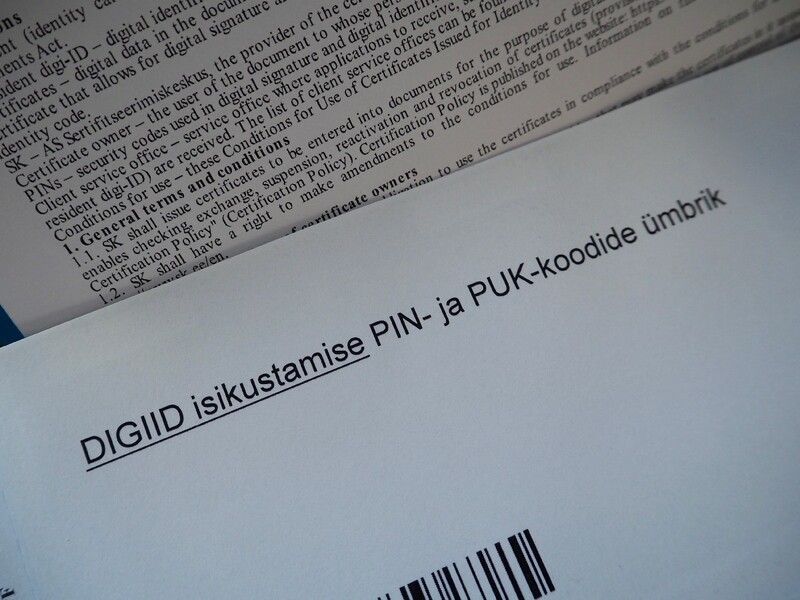 Yet the process of becoming Estonian also betrays that pioneering digital approach. 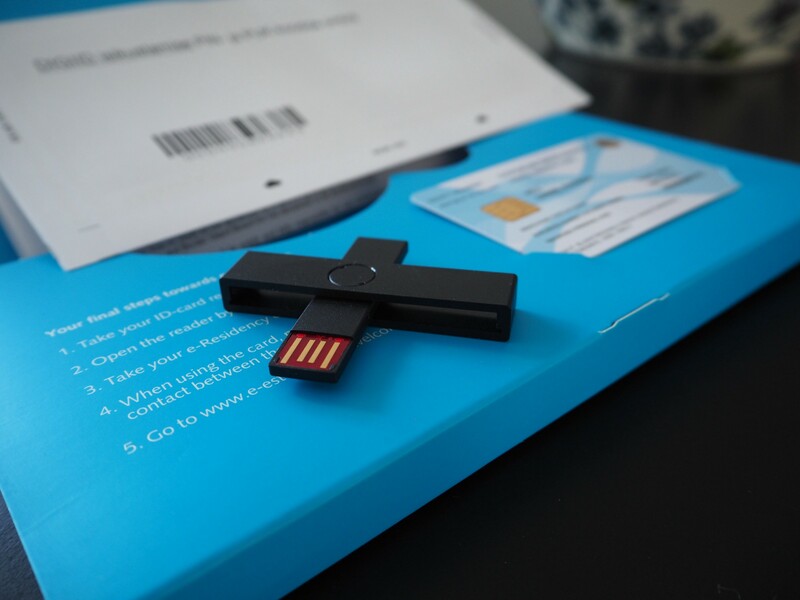 While the USB authenticating device is ingenious, the actual digital services appear to have barely been touched by the hand of contemporary service design. As with some civic interactions in nearby Finland, another e-government pioneer, it feels a bit early 2000s, having the tang of text messaging rather than Touch ID, say. Compared to the UK’s Design of the Year-winning GOV.UK website, for instance, it is technically advanced but unrefined in its interactions. Both services suffer somewhat from a myopic reduction of government to do only what it can do, yet technically, Estonia could now look to leapfrog in a way the UK appears unable to. So whilst it may have been first to “compete on user experience”, Estonia must look forward. It does not want to be the Rio mp3 player when the iPod of global government digital services comes to town. Currently, the web services that pivot off the cute ID card and USB-reader are clunky, to say the least. Yet that’s easy enough to resolve. As with virtually any digital user experience, ten good people and strong design leadership could fix that in six months. It is a known known. Not so known is what e-residency means amidst the maelstrom of swirling viewpoints on national identity. 2016 was a year in which modern notions of identity were shut down for short-term political gain. Yet in actual rather than alternative fact, how we live and who we are continues to unfold, dovetail and joyously entwine. Already complex identities, drawn over millennia of trade, migration and social experimentation, become yet more complex with each passing day. Binding that glorious mess to anachronistic approaches to decision-making and identity, rooted in some mythical simpler times, it’s little surprise we are allegedly tearing ourselves apart. The 2016 American presidential election and Brexit referendum results reveal countries apparently rent in two, systems that carelessly allow an almost insignificantly small majority to be described as ‘clear mandates’, by shredding those rich tapestries such that they are perceived instead as crude, diametrically opposed camps. The seams of those political systems are badly misaligned with the reality of how and where we live, clearly foregrounding the concerns of rural voters over urban, a design derived from a previous age of feudal landowners yet still in place. At the root of this deliberate intransigence may be a plaintive plea for simplicity, in the face of apparently overwhelming complexity. Yet so far the result is actually, sadly, a normalisation of tyranny, as Adam Curtis patiently conveys with his multi-layered film ‘Hypernormalisation’. Watching Curtis, despite his continued descent into the heart of that singular genre the Adam Curtis Documentary, one almost instinctively understands that reality is complex, identity is complex, our world is complex, and that we suppress that complexity at our peril. Yet understanding and experiencing ‘hypernormalisation’ is not the same as designing for it. As designers, we have to make propositions; we have to sketch meaningful alternatives to current systems. Put simply, how might we actually consider identity as a complex proposition and still get things done? How might that be articulated, managed, developed, discussed? These can be framed as design questions, as much as they concern politics. But still, the means by which we take collective decisions have indeed been designed, and are being re-designed all the time. We may as well do this consciously, and professionally. I was born in Zürich to British parents. I grew up in the Midlands and North of the England, mostly, though I’ve lived the longest in London. I am married to an Australian. We have two kids who have both British and Australian passports, and I’ve spent a third of my adult life outside of the UK, living and working in Sydney, Helsinki and Treviso. Although technically British, and would not claim to be technically Australian or Finnish, I feel each of these places to be my home, to varying degrees. My work is all over the place. I am thus presumably little more than a grotesque caricature of the so-called ‘global elite’ that Brexit and Trump’s election was perceived to be a rejection of. If you believe you’re a citizen of the world, you’re a citizen of nowhere. You don’t understand what the very word “citizenship” means. Neal Ascherson in the LRB notes that this utterance is up there with Thatcher’s “there is no such thing as society” as a demonstration of the bleak, misanthropic myopia of the unimaginative and insecure contemporary politician, emerging only from what he calls “a solid, unexamined nationalism” and with haughty disregard for the colourful reality around her. Yet I am not unusual, nor elite, nor confused as to my global citizenship. After English, around 45 different languages are spoken at our childrens’ primary school in London. It is largely a picture of diverse harmony, and a wonderful environment for children to grow up in, and learn how to be citizens, plural. That is no global elite. Let Theresa May look all those seven year-olds in the eye and tell them that they are not citizens of the world. Practically speaking, and before Brexit and Trump, the re-emergence of meaningful public sector innovation, and the related, broader ideas of the ‘entrepreneurial state’, had already begun to open up a richer set of possibilities for governance. The ability of service design, powered by digital, to streamline, reorient and turbocharge government services provides a rare opportunity to think through what government is. Europe is well-placed to lead on this, as indicated by Estonia’s approach which, being state-led, is more constructive than Silicon Valley’s, or President Trump’s, ‘move fast and break things’ end-game. When it’s like minus 40 outside and you have a newborn baby, you probably don’t want to go to the family office to name her: you do that online. (These are) very small, pragmatic things. Although babies are also small things, I think that registering their name is not, and we might argue that there is a certain set of transactions that have ceremony embedded in them, with a different order of meaning, and thus warrant a physical, face-to-face interaction. Naming your child is not like opening a bank account, booking a flight or ordering on Amazon Prime. A more holistic service design approach would see the value in these physical touchpoints, and find a productive synthesis which augments them with digital experiences. Digital forces a focus on the physical, if you do it properly, raising important and compelling questions about the correct place of both—and both digital and physical are always engaged. Similarly, we should be on our guard with anyone promoting data-driven government, just as with data-driven cities: a government is not a computer, just as a city isn’t. Still. This too could be resolved with good design (and other) leadership, capable of incorporating the value of digital services and decision-making augmented by data, yet within a more holistic view. At least the desire to positively reinvent, in line with today’s shifting contexts, is there. 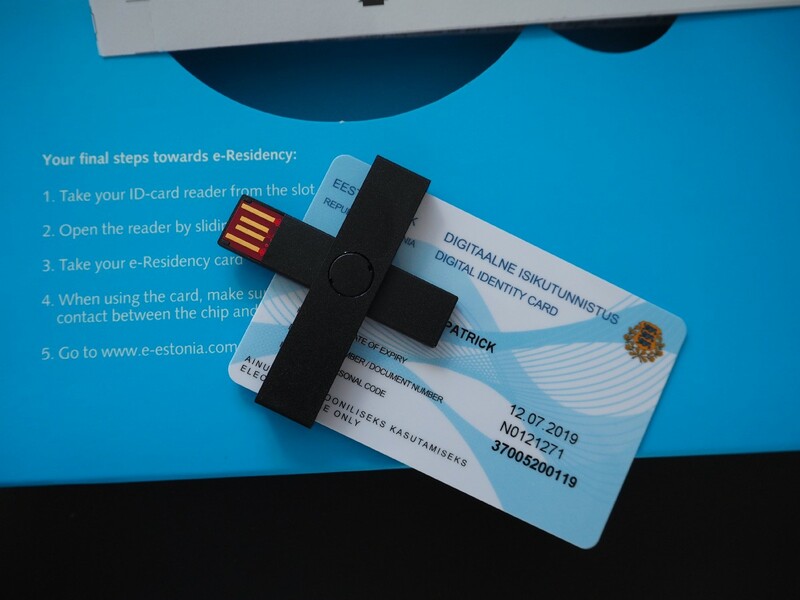 While its fabric could be more refined, Estonia’s e-Residency programme is a fascinating statement about 21st century citizenship. (To the extent that it can be parodied as CountryOS in an April Fool’s joke.) Although it is predicated solely on business exchange, rather than something more meaningful, it nonetheless is highly suggestive. It asks how we might able to think more richly of ‘both/and’ in terms of identity, of being part of nations, cities and the world. This implies respect for, and understanding of, both the local and the global. What true value, in fact, is to be gained from limiting a sense of identity? Of course being part of a nation means more than collecting stamps in a passport, as if checking in on Facebook or tallying frequent flyer points. Just as democratic decision-making should also mean more than the Brexit referendum, which was effectively a nationwide Facebook Like button on an undefined idea of Britain in Europe. Yet truly respecting national identity, and urban identity, and shared landscapes, as well as the global cultures of my children is entirely possible. Indeed, I’d argue this is the way the world works, and has done for centuries. An ongoing denial of that will thus prove to be counterproductive at best, and hurry along the horrors depicted by Curtis in Hypernormalisation at worst. It escapes the limited imagination of British ministers, prime or otherwise, that we might approach this as a design challenge. This would mean asking the right questions, 90% of the challenge right there, before articulating how multi-layered identity systems might work. In doing so, that would also mean articulating decision-making systems that might actually reflect today’s and tomorrow’s realities, rather than yesterday’s. Any such endeavour would need to be multiple perspectives, beyond design. Yet design has a role to play, due to its facility with integrative and participative practices, synthesis as well as analysis, balancing objective and subjective meaning. Design can bind analysis to symbolism, and thus emotion. In fact, it is one of the few professional disciples to deal directly in emotion and identity, something else that Jessica Helfand’s book makes clear. 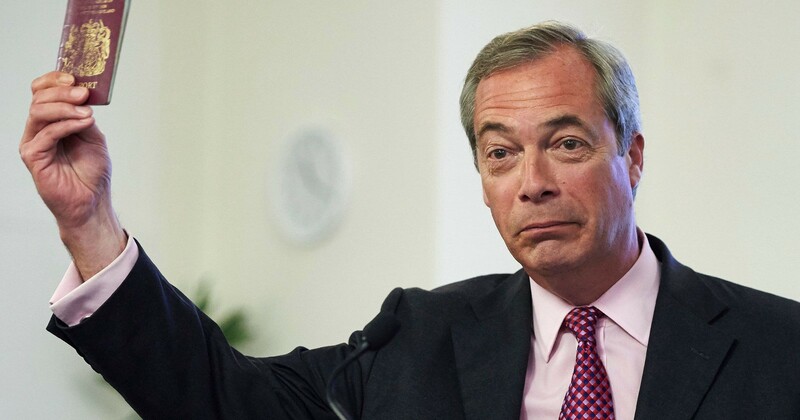 Will Wiles has handily catalogued the way that much of the populist discussion around the referendum played out via the “material pressure points of identity.” In other words, a spluttering Nigel Farage angrily waving that passport at us. We might later add Donald Trump’s wall — racism made manifest in infrastructure. Though predictable misdirections, they are highly potent nonetheless. Wiles described how the Leave campaign’s case was “strongly emotional, brandishing these totems of identity that they believe have either been defiled or threatened by the European ‘superstate’.” He also reveals how little of that was true, pointing at the EU’s handy list of Euromyths. Either way, Remain had nothing in response. Yet Estonia’s little blue plastic card, USB reader, slightly clunky web services and humble little embassy gives us something, actually, no matter how small it may seem in the context of such shattering decisions. As Wiles says, “the look of the world, the way it feels and performs, is important … the way this part of the debate has played out stresses the vital importance of thoughtful, distinctive design.” Wiles notes that the ephemera of the EU is indeed rendered in what we might call Neuter Bland, betraying its committee-led design process and the sheer lack of engagement with design — as compared to OMA’s flag proposal, a brilliant, jittering barcode of multiple adjacent identities. 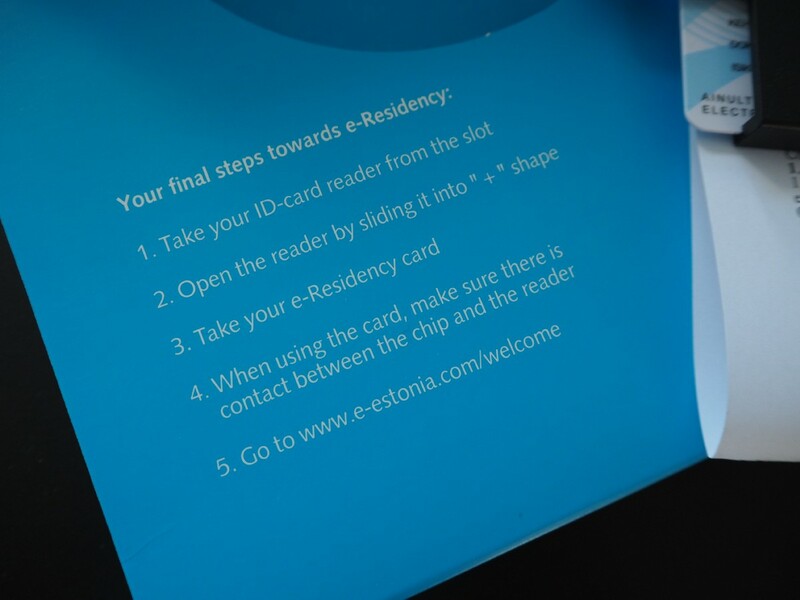 Estonia’s e-residency is hardly a bold proposition in purely visual terms. Yet with service design, feel, performance and systemic interactions are more important as looks, and in this sense, Estonia’s humble step forward is indeed thoughtful, distinctive and important. In its own small way, Estonia has used service design, as OMA used graphic design, to make manifest not racism, as with Trump and Farage, but the idea of a richer identity, of a nation as platform for other identities than its own, as a holder of multiple collective identities related, but not limited, to place. That is interesting. Staring down the stripes in that barcode, we must also recognise that Europe has functioned via urban centres for millennia, rather longer than our modern understanding of states. In some respects, this is a more meaningful form of organisation than that relative latecomer, the nation state, for all the benefits that the latter has accrued. Being a Florentine is more relevant for a Florentine than being a Tuscan, never mind an Italian, an article in The Economist once suggested (probably written by its erstwhile editor, Bill Emmott.) Perhaps one’s identity is woven more deeply into particular cities than into particular countries? But again, these things are additive not reductive, if we read Emmett’s quote differently. One can be Florentine, Tuscan and Italian at the same time — these are also nested relationships. And there are more, including neighbourhood — no doubt, in Florence — and more broadly, landscape and perhaps even biome. The concept of a country has changed. Land is so yesterday. It doesn’t matter where you physically live or operate. That is how the game will change. The “land is so yesterday” line is telling. And, I think, not true. Landscape was at least part of what drew me back to Europe. Whilst living in Australia, a visit to Finland reminded me of the mossy swells of granite familiar to the northern England I grew up in. It initiated an unexpected pang of longing for a particular kind of place. Similarly, it would be hard to explain the subtle, shimmering beauty of a particular kind of weather linked to that place; for me, best described Melissa Harrison’s book Rain: Four Walks in English Weather. It’s certainly hard to explain that to Australians, anyway. Sam Jacob’s column in Dezeen, brilliant as ever, explored the Brexit campaign’s various articulations of Englishness, of which landscape itself is a core component. He recalled how John Major’s paean to Englishness was expressed in terms of landscape, and its fruits, as much as anything else: “long shadows on county grounds, warm beer, invincible green suburbs, dog lovers and pools fillers.” Britain’s landscape is also a confection, just as Major’s poetic vision was, just as my kids’ school is, just as London is, just as I am. Confection is what we do, particularly in Britain, which makes us somewhat difficult to pin down, to describe, to find a single reading of authenticity. As Jonathan Raban points out in his collection of essays, Driving Home, there is little even about Britain’s ‘natural environment’ that is not manufactured, little about nature that is original and separated. 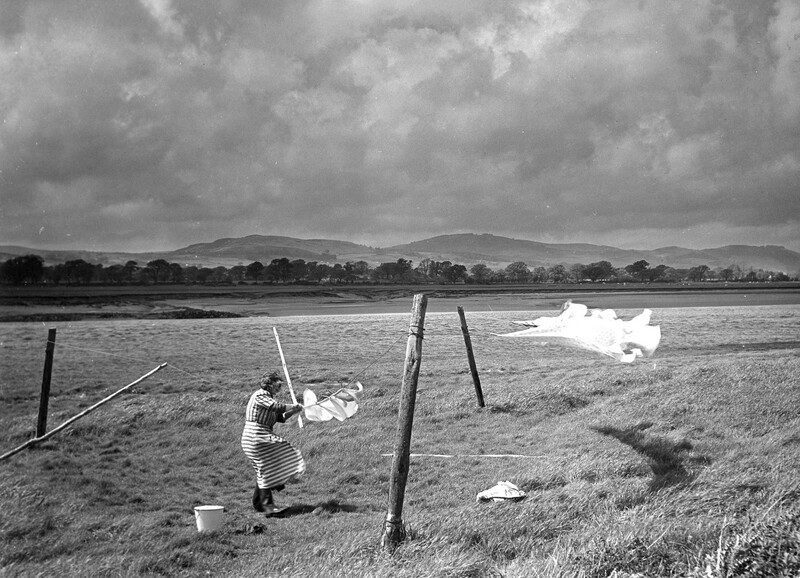 He notes that “in England, nature and culture are so intimately entwined that their categorical separation is a false distinction”, describing how his Enid Blyton-esque childhood dens were in fact entirely full of imported flora and fauna. The beautifully bleak and barren moorlands of the Peak District I grew up next to were once all Wild Wood, before introduced populations of sheep, and farmers, got their teeth into them. If you’re sitting in England reading this, look around, and there’s a strong chance that almost everything you see usually considered ‘natural’ is not natural at all, in that sense. Similarly, Nicholas Crane’s extraordinary book ‘The Making of the British Landscape describes in compelling detail how “functionality (has been) imprinted on landscapes” for around 11,000 years. It’s a marvellous book in every sense, and should be required reading for anyone claiming to speak on behalf of Britishness; we, as with our landscape, have been shaped with varying purpose, for various conceits, for so long that there is barely any there, there. Or rather, we are full to the brim with ‘there’. And that’s just landscape, never mind people and culture. Such riches, if only we could see them as such. Yet if that conceit, or confection, of place is partly created within certain set of environmental conditions, they are shared by a biome not a country, or at least a swathe of Northern Europe whose landscape I am equally at home in, equally beguiled by. Australia’s and Italy’s landscapes were alluring due to their differences to my Northernness. But from the Nordic Region to the British Isles via the grey-brown sweep of the Netherlands through to the Baltic states and down to the northern Alps, I feel at home. My identity is formed by landscape as much as city, or nation, but is not limited to city or nation any more than that landscape is. This broader, perhaps fundamental reading of biome and continent helps lock in an idea of the British Isles as undeniably part of Europe, even physically, something the Brexiteers cannot wish away. Again, though, these are nested relationships. And of course I have a particular affinity with the cities of the North, cities being my job, and my home—you can read that between the lines of my walk around Geneva, visiting whilst I was living in Sydney, or notes on Helsinki, Sheffield, Moscow, Tallinn, Turin, Oslo, Berlin, Seattle etc. This complex, multi-layered, nested and symbiotic set of relationships is immediately familiar once you can read landscapes and histories — yet equally, they are instinctively comprehensible to the colourful flurries of seven year-olds happily twittering around a North London playground. That seven year-olds get this does not reflect well on our allegedly better-educated Brexity cabal of agitators, who cannot seem to grasp this obvious and opportune reality so readily. 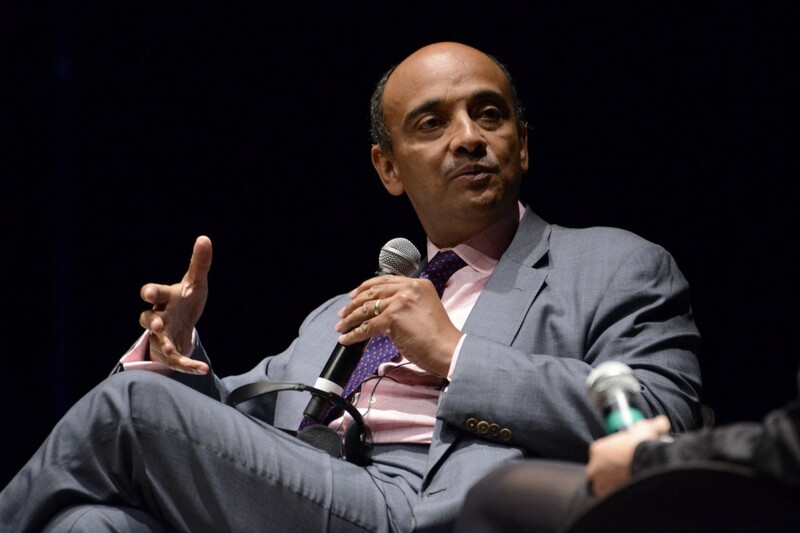 The second of Kwame Anthony Appiah’s Reith lectures focused on citizenship — delivered, rather choicely, in Glasgow — in which he brilliantly unfolded a history of the idea of being cosmopolitan, tracing the story of the ‘cosmopolite’. In hearing him artfully unravel these long histories, we better understand how national identity can be a recent invention, yet with a long and tortured backstory and an equally complex present and future. As Appiah puts it, “you peer at this gleaming canvas of countries … and you can see that the paint is still wet.” The dynamics of peoples and states, folded into cities, regions and landscapes, means that the paint always will be wet. Cultural identity is complex. That is the point of it. If it was innate and obvious, we wouldn’t have to construct it. An age being characterised as having a fear of elites, expertise and apparently facts will shy away from complexity but it is there nonetheless. What would it mean to be able to claim cultural and political affinity, as well as business relationships, with more places rather than fewer? Yet design’s particular actions are not only speculative; they also involve synthesising complexity into proposed solutions. Meaningful options, both pragmatic and imaginative, are part of what good speculative design practices produce. However, these nested relationships, where the paint remains rather wet as Appiah puts it, is something that contemporary digital systems are rather good at handling — they, and we, do it all the time. Excellent service design can even address processes of migration directly — note Fjord’s award-winning service design for Migri, the Finnish immigration service — just as it can enable better government services to be forged in many places. (See the work of FutureGov, from outside the UK and Australian governments, or the pioneering work of Mindlab, from inside the Danish government. See also speculative service design project, BRidGE, by a group of students studying Innovation Design Engineering at the Royal College of Art and Imperial College London. Strategic design, focused on the systems and cultures of decision-making themselves, is the practice that ties speculative design to service design in this context; to glue the former’s ability to step back and ask more the fundamental questions implicit in such work, to the latter’ ability to sketch out the potential services and their underpinning structures. This trinity of speculative, service and strategic design could be profoundly useful at this point. Speculative design explores what is possible, plausible and preferable; service design refines propositions into tangible, working solutions; strategic design indicates how to put the whole thing together, assess and shape the broader architecture of the problem or opportunity, and address the broader context of ‘dark matter’ and decision-making, unlocking truly systemic change. Yet we see little of that truly in action in the UK, and certainly not at these national levels, where power truly resides. While the tantrums of both Remain and Leave continue unabated, few on either ‘side’ are showing any sign of designing a post-Brexit Britain, or giving any real sense of what that might look like, might feel like to live in. We are effectively in negotiation mode already with Europe; yet just as with the Brexit referendum, there are no details on offer. When Theresa May gnomically repeated “Brexit means Brexit”, as if some kind of answer, all it seemed to mean at that point, due to its absence of anything more constructive, was a reduction of identity, an ugly counterpoint to an increase in racism, in hate-crimes, in discriminating brutality and endemic meanness, almost attempting to normalise wilful harassment or the murder of our politicians. Months later, we still have little or nothing to counter that. 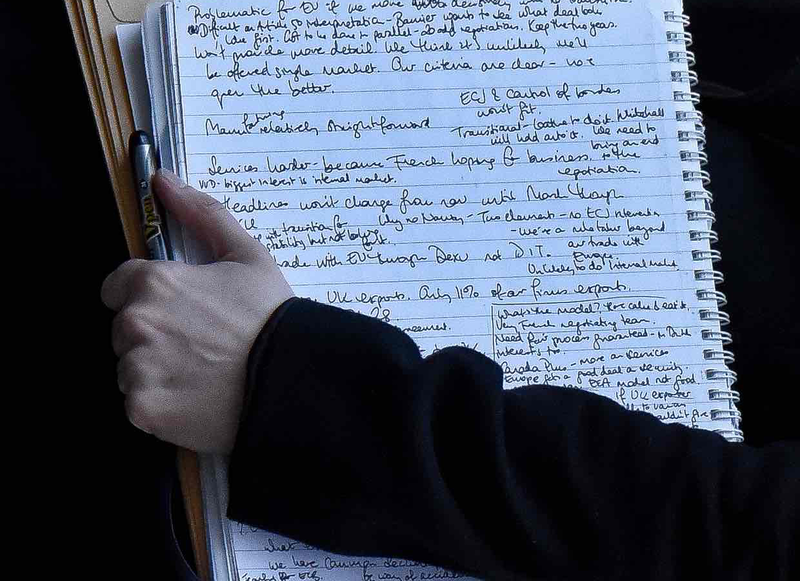 So far the ‘strategy’ for articulating what a post-Brexit Britain looks like is to scribble a few aphorisms (“have cake and eat it”) in the margin of some meeting minutes, have an aide accidentally reveal them as negotiation points, and see what happens in the press. Or perhaps we should give them more credit: are all these recent Home Office ‘gaffes’ actually prototypes or cultural probes, carefully designed to test the mainstream reaction to potential variations in immigration and citizenship controls? Can you name a single equivalent artefact associated with the Remain campaign? What could have had the same potency as Farage’s simple passport trick? 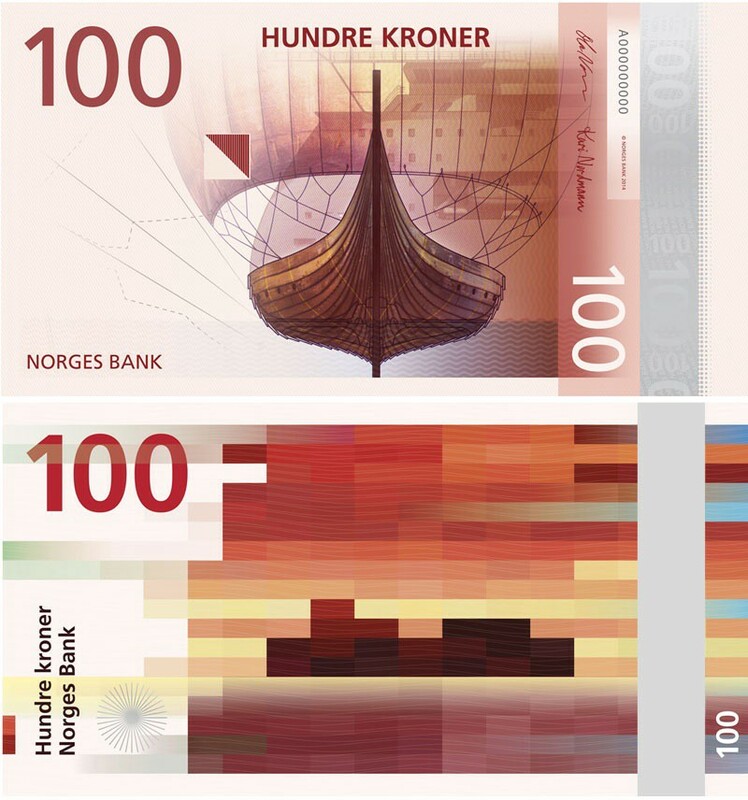 It’s not that the design of the passport is necessarily the most important facet — though one wonders what the effect of the beautiful and intelligent Snøhetta-designed currency or Neue Design Studio-designed passport has had on national confidence in Norway? — but that we need some details, some propositions, something that can embody a position, to act as a lightening rod for debates about broader systems of living. As discussed in Dark Matter and Trojan Horses, if we approach the design and creation of this kind of material, or ‘matter’, thoroughly, it forces us to address the ‘dark matter’ of culture, organisation, regulation, policy and politics that surrounds and enables it. When we’re queuing at Manchester or Schiphol airport, what’s that space and process going to be like? When we’re writing a contract with an EU company, what’s that like? When I’m shipping an object to a client in another country, how will that work? How easily can my product be installed in France? If my kids want to go to college in Eindhoven some day, what will it cost them? Conversely, if I’m running a course in the UK, what number of EU students can I expect in future? When I’m buying clothes from overseas, will I pay duty and if so, how? If I’m shipping some produce to Poland, what environmental laws might I be navigating? When we marry a European, how does that work? When we get a job, what employment rights do I have, and how would I know? Will my partner’s driving license work on holiday in Spain? And if I fall sick while I’m there, what happens? Given I can complete my automatically-produced tax return by SMS across the Nordic region, how might I pay my tax in the UK? If I wanted to open an office in Munich or Warsaw, how will that work? If I need parts for my product from Germany, how easy, or costly, will that be? If my (currently half-Finnish) team needs surety over their ongoing UK residency, what lies ahead for them? How might we be a meaningful part of a European internet? Fundamentally, if we remove ourselves from European parliament elections, how might we revise and refine our electoral processes, voting infrastructure and local decision-making for the 21st century—while the bonnet is up, as it were? Some of these things are entirely mundane, quotidian tasks, and some are life-changing or generational decisions; all need resolving. These are outside the broader issues Brexit implies for the UK—such as the impact on industries like agriculture, construction, finance and design, or the cultural perception of Brits abroad or tourists over here—but more everyday concerns, things that need designing or deciding. Centralised, narrow-minded, and with its various forms of governance hide-bound by a sclerotic “single densely matted elite”, as Ascherson puts it, the UK is lagging well behind in terms of government design. So what would be a step-change move be at this point, over and above incremental innovation? In all this obfuscation of what a post-Brexit Britain looks like, one thing design can offer is to make clear the possible, plausible and indeed preferable options, and describe how to achieve them. Perhaps GOV.UK’s otherwise trailblazing Government Digital Services (GDS) team hit a buffer when their parent, the UK civil service, refused to consider that the people-centred design processes for their digital services would also unlock and enable a redesign of the civil service itself? Yet it might just might be that we need to do just this—in fact, no less than forge a different social contract—in order to shed light onto otherwise darkening terrain. Crucially, that could involve a more significant role for government, rather than less. The value of ‘better government’ could be communicated rather more easily than ‘smaller government for the sake of, well, smaller government?’ As Jeremy Till pointed out when GOV.UK won Design of the Year in the UK, the one serious misstep with GDS was to implicitly and baldly state a goal of reducing the role of government, to ‘do less’, without assessing how innately ideological that position was, or considering a broader role for government, rather than backing into the corner problematically marked ‘market failure’. We should focus on good, meaningful government, and richer social contracts, rather than focusing on its size. Yet now, given the dire need for direction at this point, why not deploy the UK government’s Policy Lab, or GDS teams, towards what post-Brexit governance would mean? What would a British equivalent of the German Bundeszentrale für politische Bildung be like? The BpB is a public body whose mission is to strengthen democracy, from the ground up. It largely uses communications as its medium rather than pursuing service or strategic design as such, but where is the UK’s equivalent either way? But for those of us whose net-worth is rather less clubbable, what club-like services might we have access to, in order to increase our connections rather than reduce them? For instance, noting that Estonia and Manchester have roughly the same population-base, what would a Mancunian e-Residency look like? A ‘key to the city’ has been a civic reward for a long time— and I’ve never quite known what one might do with it; it sounds great! — but what would it mean as a service? What would a Transport for the North service actually manifest itself as? What opportunities does devolution offer for new civic relationships with cities (and points in-between)? More broadly, what would a shared Nordic identity look like? What would a new Hanseatic League look like, or a reorganisation based around seas and oceans? A shared Mediterranean identity, uniting Northern Africa and Southern Europe, might be better placed to address the crises taking place daily on those shores, in that functional, though not currently effectively political, region. Just as a Baltic partnership could act together to reboot that particular dead sea, tackling an ecological disaster that requires shared ownership of the problem at the scale of the Baltic itself. And how would these things manifest themselves to citizens, in order to have the validity and authority to act in such ways? We have learned that these are things that require constant engagement, on meaningful terms, if they are to survive the death by a thousands cuts of populism. What would an EU e-Residency look like? What kind of Great Club would that be? Indeed, what teams in the European Commission, and national governments, could collaboratively sketch out such a thing? Do they have an internal strategic design team? (I hear one started a few months ago.) An EU e-Residency is not something that would replace a national identity; it would not, and could not, deny national identities. These are additive, and nested, structures. As Appiah pointed out, Diogenes, who gave us the word ‘cosmopolitan’—from kosmou polites, meaning ‘citizen of the world’ in Greek, which perhaps ‘renowned classical scholar’ Boris Johnson might have whispered to Theresa May before she denied its existence—would have told us there was no contradiction between identifying with the people of your city (polis) and identifying with all the other Greeks. These approaches would unlock ways of being both British and European, say, as well as enabling multiple e-residencies, Estonia-style, as required. Why are Great Clubs only seen as an invitation-only opportunity for those outside of Britain? Dezeen’s competition for a UK passport is welcomed, given this. Who will design not a UK passport, but a passport capable of containing multiple nested identities? Thanks to my e-residency, I have some emotional and intellectual relationship with Estonia now, no matter how vague. In fact, for a process which took a few clicks, a few €€€, and a very brief appointment, it’s surprising what it does feel like. I would prefer it to have been one of my other adopted countries, perhaps — or even one of the cities I have a close relationship with—but for all of its obvious and intentional limitations, and lack of truly deep meaning, it does mean something nonetheless. That was unexpected. There are currently only around 13,000 thousand Estonian e-residents, with around a thousand from the UK, thanks to a spike after Brexit, yet Estonia’s move is an attempt to work with citizenship and identity, no matter how clunky, and that in itself is to be lauded. The global buzz about blockchain in the context of decision-making systems is an almost implicit statement that states cannot be trusted. This is an awfully limited view. Estonia’s small move actually implies that a state can be trusted, and that simple statement is hugely important and meaningful in itself. Government is one of our greatest inventions; to let that so casually slip in an age of Brexit and Trump may simply redirect towards a new form of Dark Ages; of privilege for a few versus serfdom and crushing poverty. Ascherson mentioned that choice phrase about Theresa May: that she is the “the best person to build a better yesterday”, a yesterday that seems as close to a Game of Thrones as to a League of Nations. As Sam Jacob pointed out, the state is “a thing that needs to be made and a thing that has to be designed.” Via service design, Estonia is exploring the touchpoints and edges of its state in order to articulate what it is, and what states mean. We might think of transposing Kevin Lynch’s urban planning vocabulary from cities to states, describing how the way that we shape borders, edges, nodes and paths also defines things and places. Estonia’s edges are open; small-minded Britain’s feel like they’re closing in. There’s an opportunity to reframe this localism alongside better science and distributed infrastructure, cleaner and more equitable technologies, as well as meaningful interdependence with natural systems. There’s an opportunity to design local services carefully and ethically, understanding that service design is political, which in turn implies that such approaches could have true value in government. There’s an opportunity to use design to spell out what Blockchain (or Notchain) and other forms of decentralised systems might actually mean in practice, which hardly anybody has managed to do yet, and to explore how all these distributed technologies might reinforce civic relationships rather than neo-liberal individualistic structures—which nobody has managed to do yet either. Though we could try. But one can hardly imagine phrases like “nested sets of belonging groups” emerging from the lips of a UK government minister anytime soon, as with any of the more abstract thoughts above. These things needs to be transformed into tangible propositions, to be translated into the infrastructure of everyday life: the “material pressure points” of passports, identity cards, clubs, groups, town halls, neighbourhood centres, flags, anthems, job centres, immigration centres, tax returns, currencies, public spaces, transport services, kiosks, residency services, customs procedures, school systems, childcare facilities, civil ceremonies, planning notices, communications infrastructures, cooperative structures, voting booths, electoral systems, and so on. At the OECD in Paris recently, I was fortunate enough to be asked to take part in an excellent workshop on “Working with Change: Systems Approaches to Public Challenges”, which addressed these questions directly, discussing case studies of systems-oriented design approaches for the public sector that had driven headlong into the heart of complexity and emerged with results. Coordinated by my colleague Justin Cook, with the OECD’s Marco Daglio and Piret Tõnurist, the day’s challenges were effectively hashtagged ‘VUCA’, a handy US military acronym for ‘volatility, uncertainty, complexity and ambiguity’. And yet we heard about case after case that had found ways to move forward nonetheless, and we heard senior and experienced policymakers of the highest calibre describe the necessity to seriously address issues like ambiguity, empathy, uncertainty, complexity and subjective qualities across multiple outcomes, and not simply quantitative data—and this at the home of the latter. As Piret and Justin put it in their write-up, it was ‘A Debate about Uncertainty, Held in the Heart of Certainty’. Although encouraged and emboldened by the discussion, I suspect all of us workshop attendees also departed aware of how nascent these approaches were, in the face of decades of moving the other way. We now need systems doing as well as systems thinking. But finally, in resolving these tensions, we must act as a countervailing force against the meanness and tightness that Judt saw coming, and actively engage with the design of the systems, services and spaces of a more resilient everyday life that rejoices in more identity, not less. A shorter version of this article first appeared at Dezeen in March 2017, entitled “Who will design a passport capable of containing multiple nested identities?”. Articles, cases and considerations regarding strategic design practice and thinking.